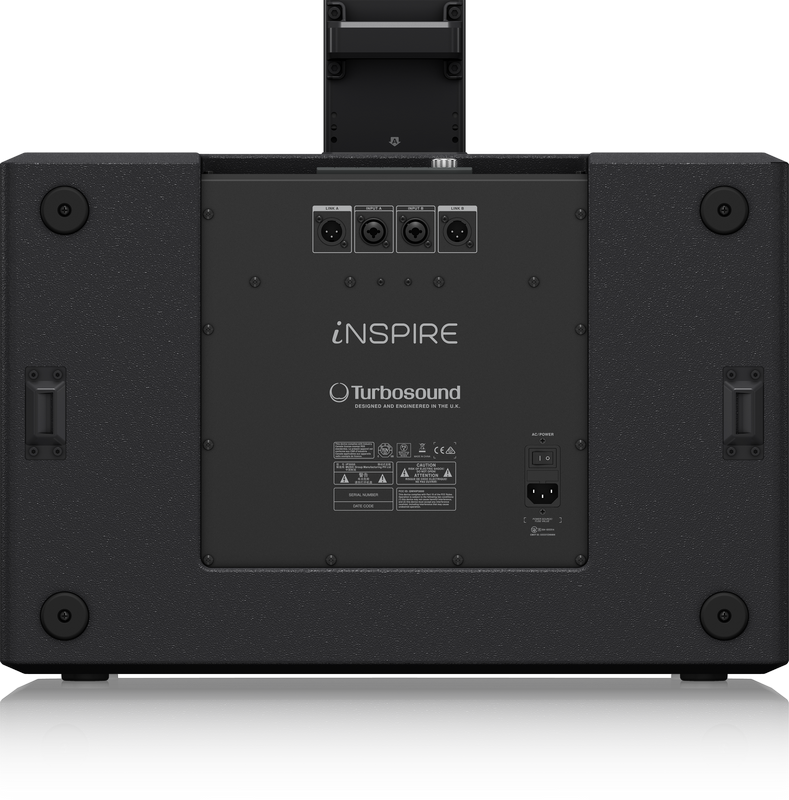 The Turbosound iNSPIRE iP3000 is a self-contained full-range powered speaker system well suited for small to medium-sized performance venues, houses of worship, boardroom presentations, nightclubs, and more. 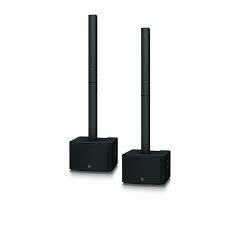 The 2000W powered column loudspeaker features dual 12" subwoofers, 16 neodymium mid-hi drivers, dual horn-loaded super tweeters, Klark Teknik Spatial Sound Technology (SST), a digital mixer, Bluetooth audio streaming, and remote control via iOS/Android. 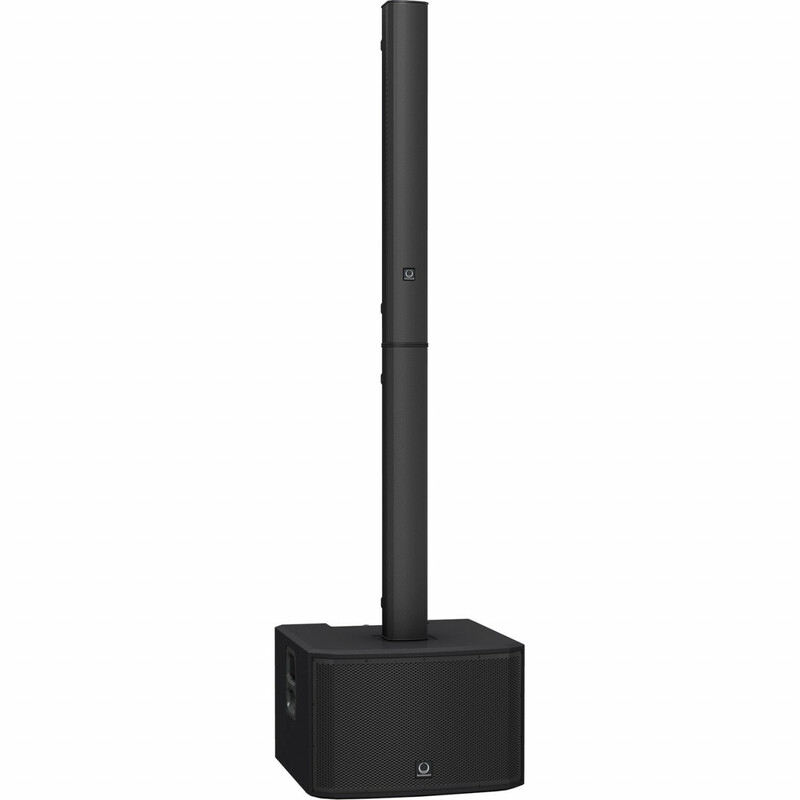 With a 120° dispersion, the iP3000 provides such wide coverage; it eliminates the need for monitor wedges for performers and creates an even, sonically balanced soundscape that covers the entire room. Additionally, the SST creates a well-defined virtual 3-D environment, enveloping the listener in a rich and more realistic experience. The integrated DSP ensures the greatest signal integrity possible by analyzing the incoming audio and intelligently applying specific filters to improve the sound quality. The built-in digital mixer accepts balanced and unbalanced connections for dynamic microphones and line-level instruments. The on-board interface is simple by design with a rotary push encoder and buttons for Process, Setup, Exit, and Enter. The back-lit LCD displays parameters for Delay, Limiter, High/Low shelving and parametric EQs, and Presets. All controls can be controlled locally, or via the free downloadable iOS/Android app. 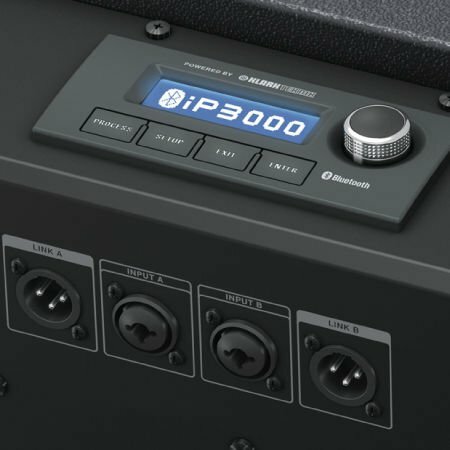 The iP3000 ships with a standard IEC power cord.